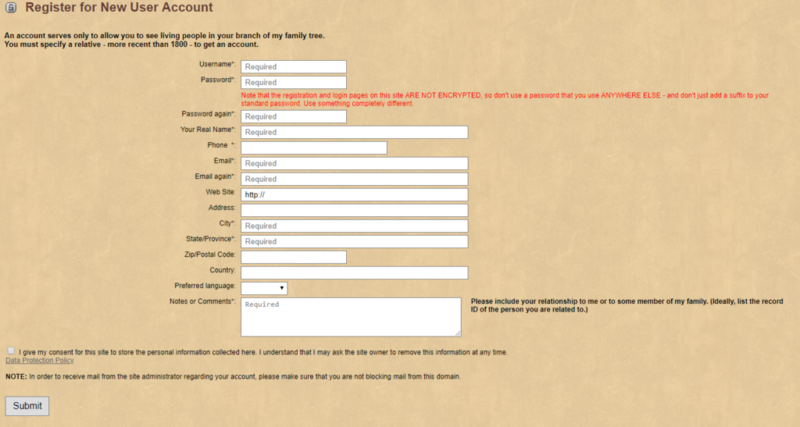 This form is used to register for a New User Account at www.stjohngenealogy.com for the St. John Origin and Ancestry DNA database. Choose a username that you will remember. Password and Password Again should be completed with the exact same entry. Your password should be unique to this site and not used on any other website. It is recommended you build a strong password that uses a combination of letters, numbers and special characters at least 8 characters or longer in length. If website administrators cannot recognize you as a real person, your new account will not be approved. Email and Email Again should be completed with the exact same entry. You must enter a valid email address. This is a required field. If you don’t complete it completely, your account will not be approved. 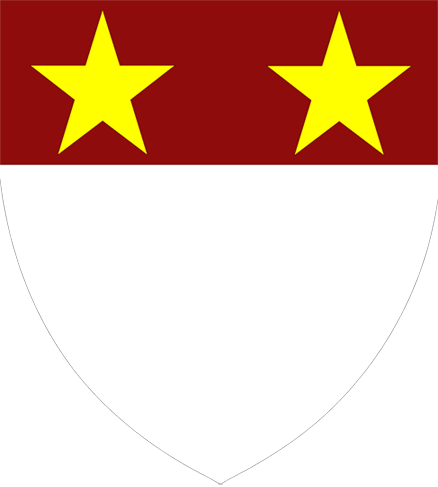 Your user account will be linked to your PersonID record in the St. John family tree. Living People will be marked as Living and their names will not be displayed. You can also request any person to be marked Private to hide name and other details. Option 1: Include your Person ID number if you are already in the database. Option 2: If you are not already in the database but you know your St. John lineage, include your name, date of birth, your parents and their birth/death dates as applicable, your St. John grandparents and their birth/death dates as applicable. Continue until you reach a person already in this database. Identify the person already in the database by their Person ID number. Option 3: If you do not know your St. John lineage, include your name, date of birth, your parents and their birth/death dates as applicable, your St. John grandparents and their birth/death dates as applicable. Continue going back one generation at a time until you run out of ancestors you can trace on the St. John family. add administrator@stjohngenealogy.com and stjohngenealogy@gmail.com to your contacts so emails will not end up in your spam folders. Press the submit button to send the request to the site administrator. You will be notified by email when your account is created.